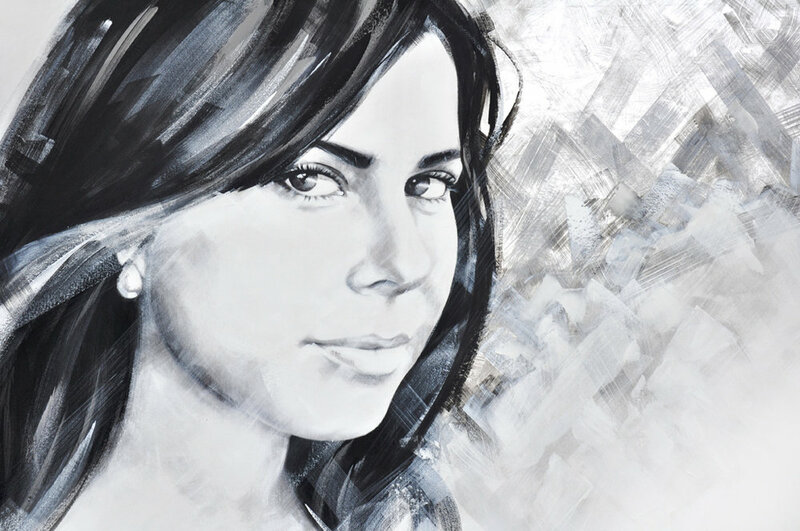 Jean Pierre Rousselet has completed over 500 personal commissions over the past decade and has a 100% satisfaction policy. The process is quick, easy and fun! Each portrait is painted at the artist’s studio in Florida using photographs of the individual as a reference. Submit (e-mail) the photos you would like the artist to use. If you need assistance with photographs, our friendly customer service team is happy to provide easy and convenient photography guidelines. 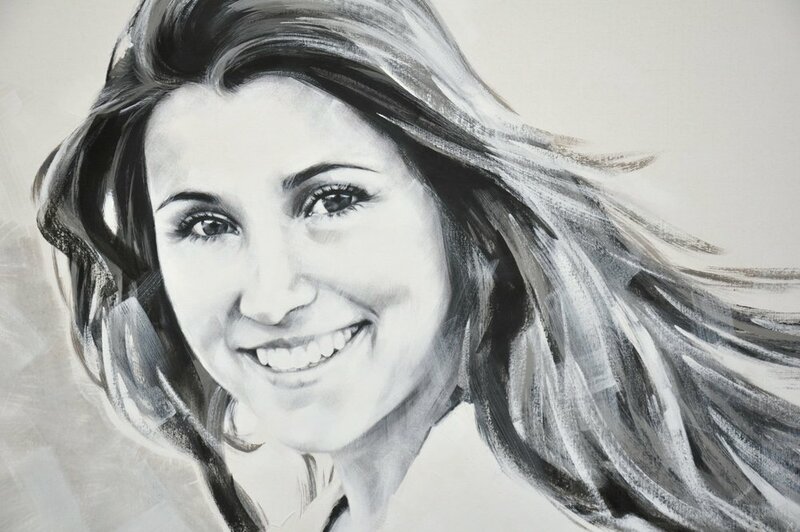 Each original acrylic portrait painting is painted to your individual size, color highlight and background specifications. Contact us for current prices and size options. Most popular sizes are 36x36 and 30x40 inches. The artist will provide a digital concept photograph with your color preferences and any special requests for your final approval. You will have the opportunity to request adjustments if necessary. Once you have approved the concept photograph, a 50% deposit is required. Your order will be added to the artist's painting schedule and an approximate completion date will be provided. The balance of payment is due on completion of the painting. STEP 5: Enjoy your new portrait! On completion, your portrait/s will be shipped fully insured with FedEx directly to your home, gallery wrapped using the finest quality materials and ready to hang… Just knock a nail in the wall and enjoy! Contact the studio today and our staff will guide you through the process, step-by-step. If you’re based in South Florida, we can arrange to meet in person to take reference photos. We do offer professional photo shoot options if you are based outside of Florida. Take pleasure in the joy of ownership and peace of mind with exceptional customer service provided throughout the portrait process. Create your family legacy starring the love of your life and the apple of your eye… Collect the most meaningful artwork you will ever own!